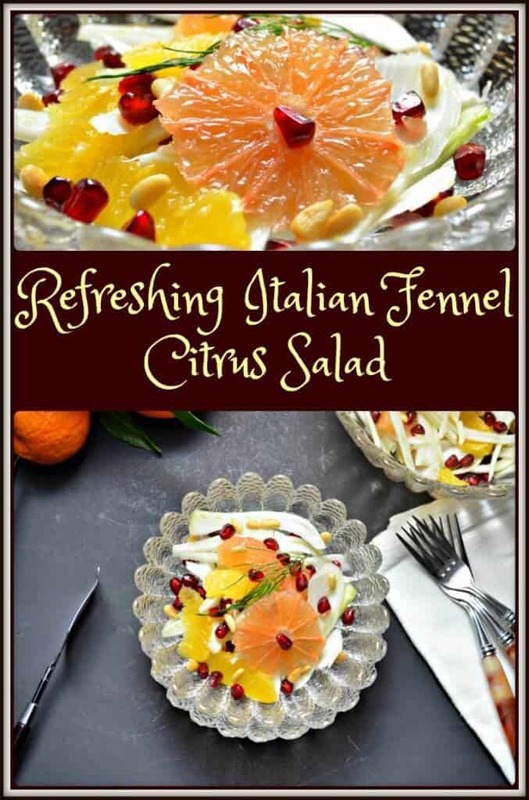 This Refreshing Italian Fennel Citrus Salad is the perfect non-recipe to ease into those New Year’s resolutions! It’s a great first step to healthier eating and healthier living. I couldn’t think of an easier (or tastier) way to incorporate fruits and vegetables! It really is hard to beat the classic combination of fennel and citrus fruit. Sweet tangy citrus and crunchy fennel provides an explosion of color, flavor and texture. Another color enhancer is the pomegranate arils. These jewel like seeds not only add color to your salad but they are truly a super fruit in terms of being a great source of Vitamin C among other vitamins and minerals. If you would like to know more about pomegranates, I created a short video on How to Easily Remove Pomegranate Seeds. Just click on the link to view it. What’s more, this Refreshing Italian Fennel Citrus Salad comes together in no time. It’s really just a matter of slicing the fennel! I usually use a mandolin to get super thin slices, but a sharp knife will do the job. I am absolutely addicted to the anise flavor of the fennel, by the way. Fennel’s actually been a star player in many of my favorite recipes for quite awhile! Check out this grilled chicken with fennel and apricots recipe, or my recipe for fregola salad, for some examples. These are truly great recipes for anyone who thinks they do not like fennel. As far as the citrus fruit is concerned, zest the peel of the oranges and then it’s just a matter of segmenting the fruit. I like to collect the juices of the fruits and incorporate them in the dressing. Nutrition Tip: Everyone knows that fruits and vegetables are healthy for you. They are rich in vitamins, minerals and antioxidants. They can help in maintaining a healthy weight, healthy bowel movements and so much more. 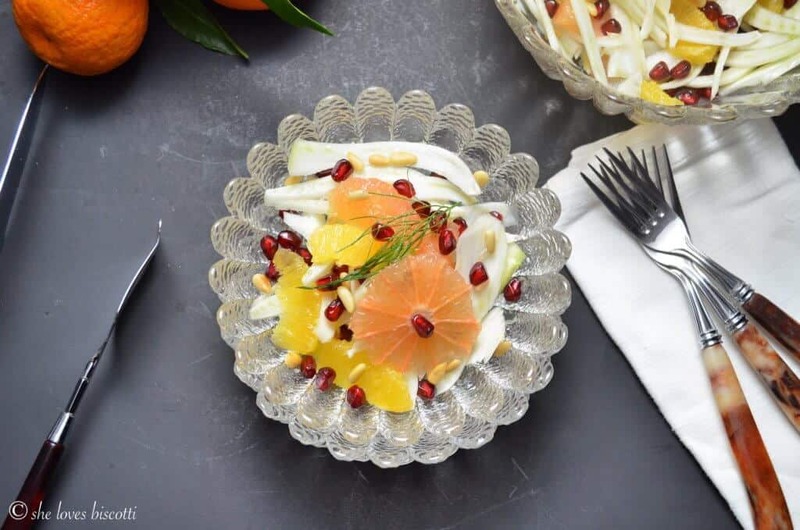 This wonderful refreshing Italian Fennel Citrus Salad will help you take a step in the right direction towards healthy eating. 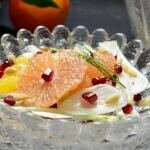 Although I have provided a recipe for this Refreshing Italian Fennel Citrus Salad, this really is a non-recipe. Feel free to use any combination of oranges (blood or navel), grapefruit and/or lemons. The recipe was initially inspired by friends and family who have origins in Sicily. You’ll see that this recipe is so ridiculously tasty and simple to make. What a refreshing way to bring in the New Year! Many blessings of health and happiness to all of you! 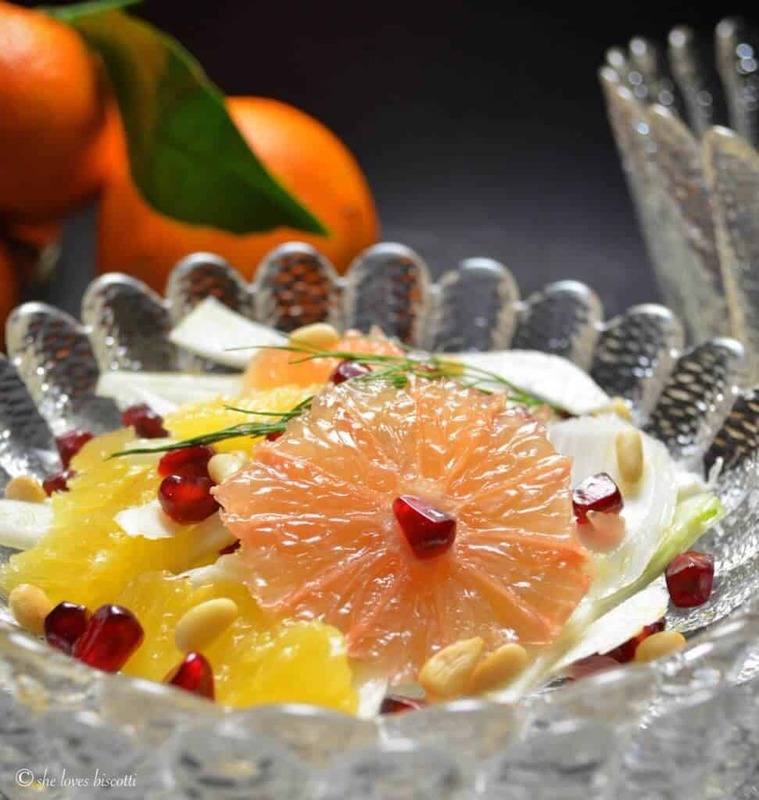 This wonderful refreshing Italian Fennel Citrus Salad will help you take a step in the right direction towards healthy eating. Wash the fennel bulb. Remove outer layer if it does not appear fresh. 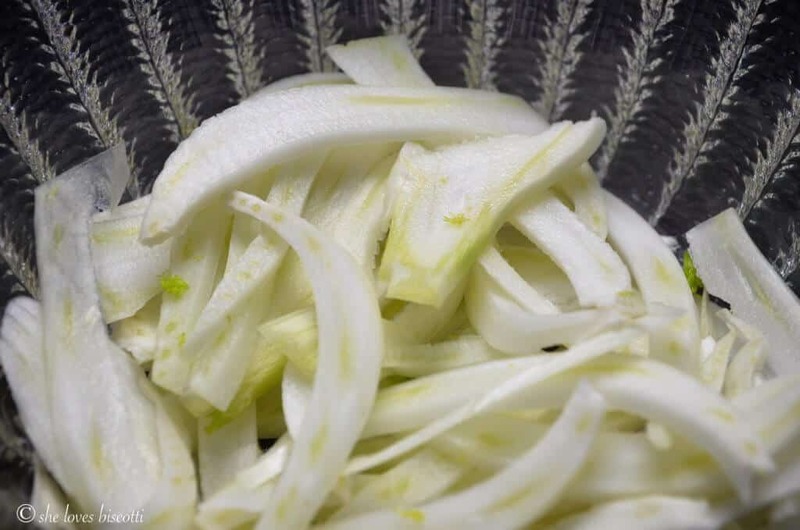 Thinly slice the fennel, using a mandolin or a very sharp knife. Add oranges and grapefruit segments. Place all of the ingredients for the dressing in a jar. Cover and shake well. 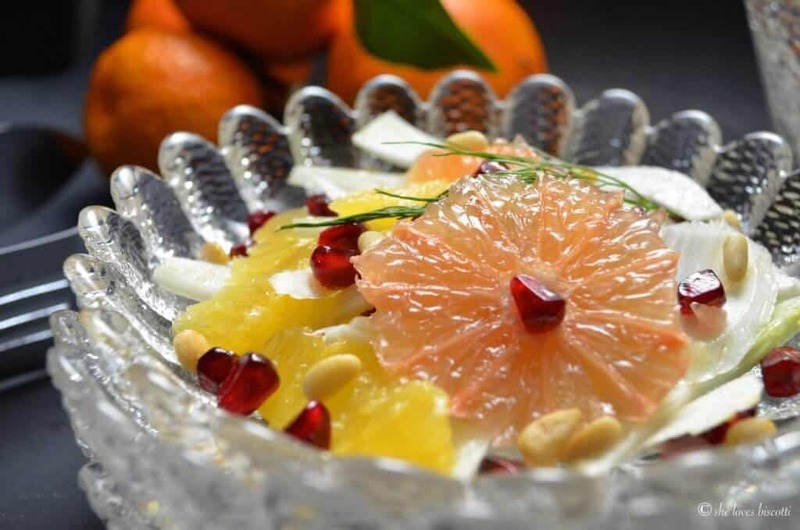 Top with pomegranate seeds and nuts. Garnish with fennel fronds (if desired). This salad can be served on a bed of baby greens or in a Boston lettuce cup. If you're not a fan of the grapefruit's bitterness, try swapping it out for a fruit with more of a tart flavor, like cranberries. This salad can be topped off with your favorite soft cheese as well, such as ricotta or cottage cheese. Try experimenting with any other ingredients you can think of. Some suggestions: avocados, different nuts and seeds (almonds, walnuts, etc. ), or beets. This salad looks fresh & delicious!! More recipes for 2016 ; )! Thank-you Maria! Happy New Year to you too 🙂 Thanks so much for taking the time to comment. Appreciate it! Thank-you so much Sonia and mom!!! Happy New Year to all of you??? Great minds think alike! This salad recipe is on my “to do list” for today! Happy New Year Maria???? Happy New Year to you and yours ? ? ?